As B&B owners and innkeepers in New York City, our experiences have allowed us a unique view of the travel industry. Since we are owner operated, we have much more personal contact with our guests, and they rely on us to be their personal concierge. Our success as small business owners is directly related to how well we tend to the needs of our guests, such as costs and services, as well as recommending the best dinner option for a travelling young couple in the East Village. B&Bs provide a friendly and unique atmosphere that big hotels and hostels cannot recreate. It is our local knowledge and personal touch that brings folks back to NYC time and time again. And the top destination for B&B travelers for 2012… New York City! That’s right; the Big Apple is the top destination for those who stay in B&Bs. Over 67 percent of B&B travelers are planning to return to a destination they have visited before, and 54 percent are again staying in a B&B. Most of the time, B&Bs conjure up images of a small New England town or Napa Valley Wine country, but the reality is 23 percent of B&Bs are located in urban areas just like New York City. StayNYC is dedicated to protecting these B&Bs by working with elected officials to make sure that our registered B&Bs remain exempt from any illegal hotel legislation. Illegal hotels have created serious concerns throughout our New York City. Rightfully so, the City and State are cracking down on establishments that put both travelers and tenants at risk. Unfortunately, this law has made long established, taxpaying B&Bs targets for steep fines and possible closure. This begs the question, why are StayNYC B&Bs different, and why should our members be exempt from recent illegal hotel legislation? To start, B&Bs are an established part of the New York City tourist industry and an important contributor to local City culture. Innkeepers and B&B owners love this City, and whether it is a good local cafe to grab coffee, the best bagel in town, or a neighborhood bar off the beaten path, sharing our knowledge with guests is our passion. That sort of local knowledge and personalization is hard to find at larger hotels, which is why small inns and B&Bs are vital. For a city that attracts tourists from all walks of life and many different cultures, a diversity of short-term accommodations is necessary to provide everyone with a truly unique New York experience. Most guests choose our B&B’s not to save money as much as to feel welcome and safe, like they have a friend in New York, and indeed they do. Travellers seek out B&B’s for the experience of living like a local. StayNYC members are registered as New York City Small Facility Operators and unlike illegal hotels our members collect and pay NYC hotel tax, occupancy tax, City and State sales tax. 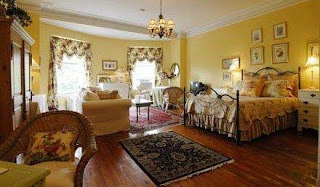 Combined, StayNYC member B&Bs drive more than $4 million into local NYC community in 2010. Tenants are rightly concerned about their neighbors operating illegal hotels, with random and unfamiliar guests coming and going. We support legislation that keeps tenants safe. StayNYC members all exist in small buildings that are exclusively used as bed and breakfasts, and have less than 10 rooms. Part of the reason StayNYC is such a small association (we have less than 10 members), is that there are strict guidelines for membership. StayNYC requires proof of a Small Facility Operators certificate, and compliance with the City’s hotel tax and NY State sales tax laws. Neither of which an “illegal” hotel could provide. To help StayNYC keep B&Bs open for business sign our petition, and follow us on Twitter and Facebook. StayNYC is excited to launch our blog. We will be updating our page with blog posts about bed & breakfasts, New York City travel, and how recent legislation has affected registered B&Bs here in the city. The media has taken an interest in our issue with recent articles in both the New York Times and the New York Daily News. These articles are very helpful in our effort to educate legislators and the public to the current plight of B&Bs in New York City. Our members successful B&Bs are an important part of what makes New York City so great. Diversity in short-term stay options are key components to the vibrant and booming tourism industry here in the City. That is why we will work hard to educate legislators and the public on why B&Bs need to remain legal and open for business. Recent legislation on illegal hotels has made our members the unintended targets for steep fines and possible closure. Illegal hotels are a serious problem, but we strongly believe legitimate taxpaying business such as ours, should not be the collateral damage in the fight against illegal hotels. What can you do to help? Please urge your family and friends to sign our petition, and stay tuned to our blog, Facebook and Twitter for updates from the StayNYC team!